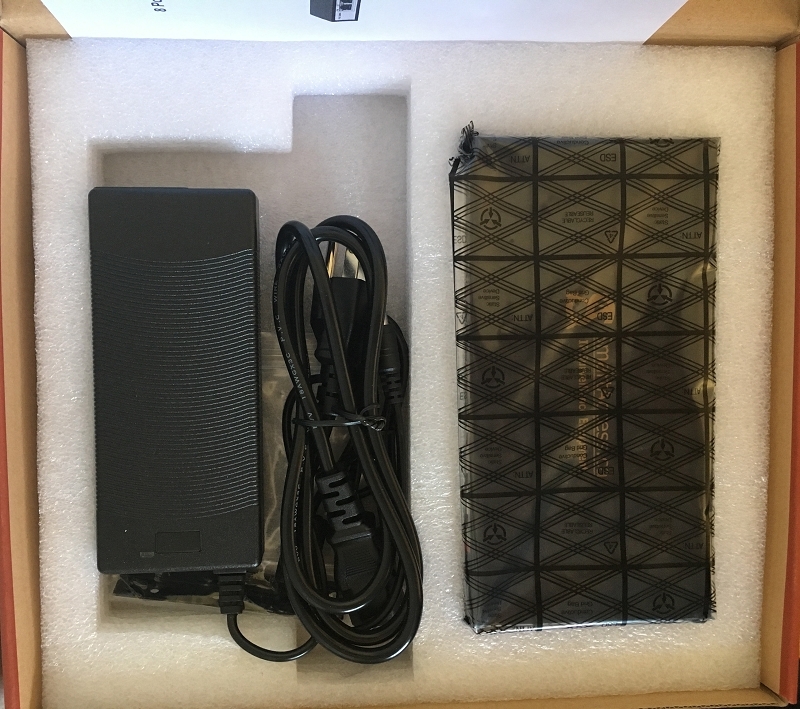 PoE+ Switch SA-PS82M, power adapter, mount kit and user guide. 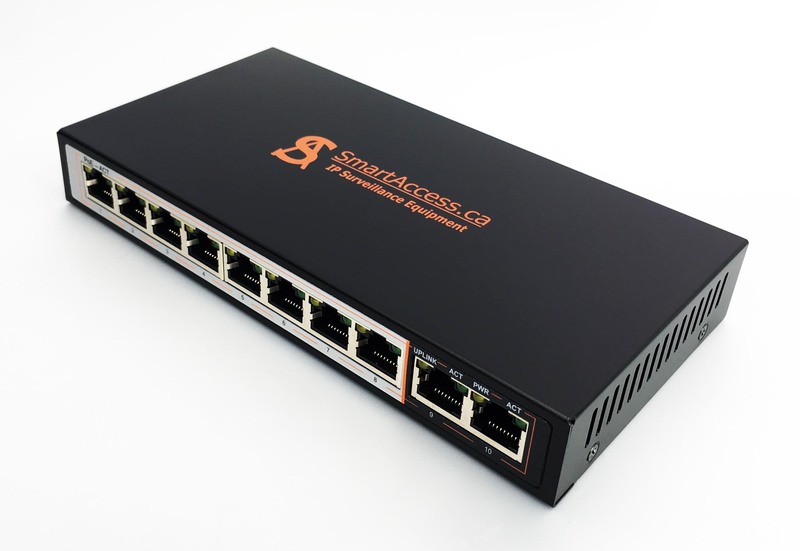 SA-PS82M is 8 port 100Mbps PoE+ switch with 2 Ethernet uplink ports RJ45, auto-detection and identification IEEE802.3af/at standard PD devices, then provide network signal and power over ethernet to any PoE and PoE+ devices, like, IP cameras, Access Points and VoIP phones and others. 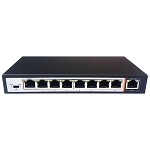 PoE Switch SA-PS82M is the perfect choice for the mini-type commercial network, it economically uses PoE deployment and can be mounted on the wall or some other place inside your office or house. Got it for my office, connected: 6 PoE IP Cameras, 2 PoE Phones to other Non-PoE ports we connected Wi-fi router and Smart TV. Do not see any issues! Happy to share with you my review. Wow, 8+2 for this price, it is awesome!!! Guys, I looove it! 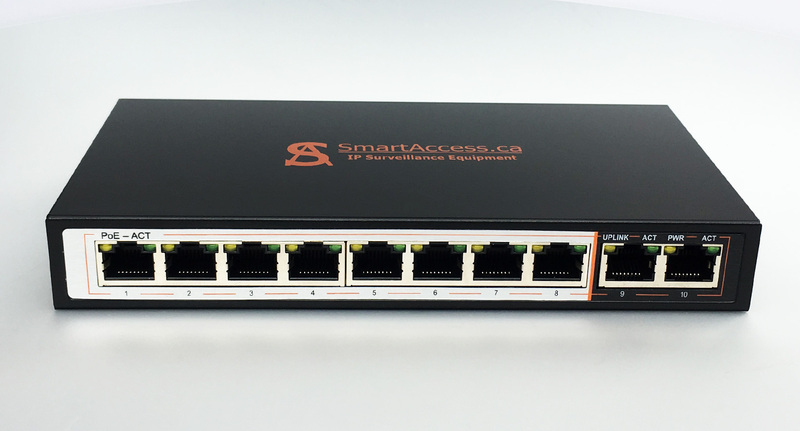 POE POE Indication Yelow Light ON If red light off, pls check if the corresponding RJ45 access network device and the network cable connect correctly, if the network cable is accord with Cat.5e standard (transmission distance max. 100meter), if the network cable and network device is damaged. 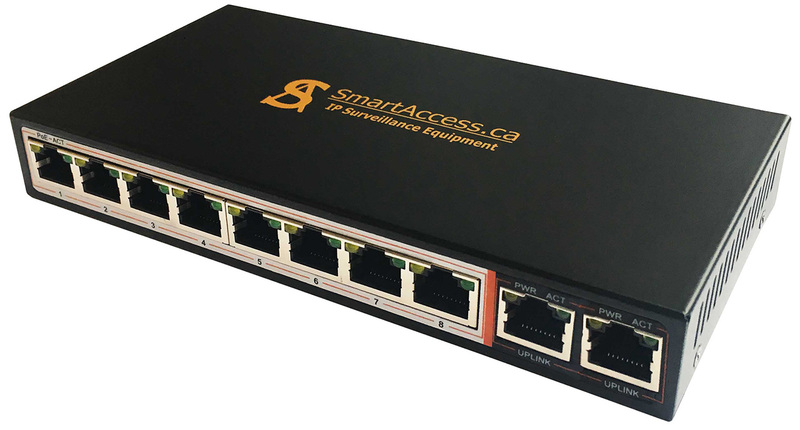 LINK/ACT PD Device Connection Indication Green Light ON If light off，pls check if the corresponding RJ45 access network device and POE powered normal, if the network cable connect correctly and network device is damaged.